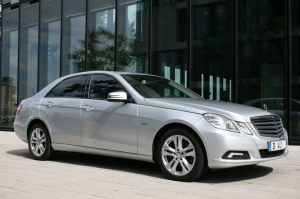 Mercedes E-Class Limousine - Open for bookings 24/7! 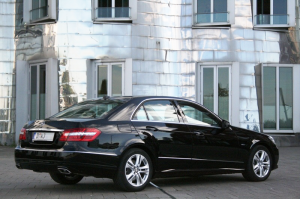 The ideal business limousine in silver or black. Spacious legroom and comfortable entry into the rear passenger area are the first features that stand out with the vehicle. 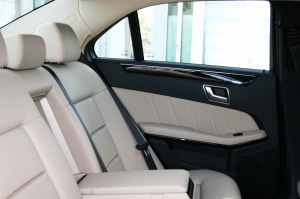 Inside, the sedan impresses with luxurious leather seating and fine wood decor. 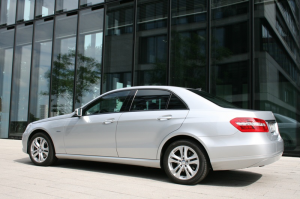 Our E-Class sedans are partly equipped with satellite TV and DVD systems. 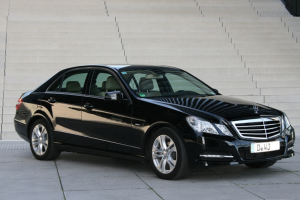 Mineral water and news magazines are also on board, including individually controlled air conditioning for the front and rear area. Daily newspapers and snacks are laid out on request to further the enjoyable experience.